After yesterday’s post we received a couple of requests from our followers on social media suggesting the inclusion of Hstry and MyHistro to the list. These are two timeline creation tools we have already covered in separate posts in the past. 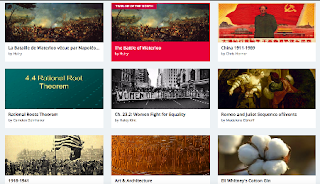 As teachers, you can use these web applications with students to create educational timelines showcasing the development of a given phenomenon or to chronicle the major historical events over a stretch of time or provide a biographical narration of a historical figure…etc. 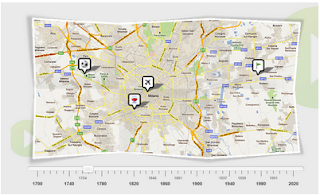 Timelines can embed different multimedia materials including: text, images, video, maps and many more. HSTRY is a very good web tool for creating multimedia timelines in class. The process is very simple and easy. Just sign up either as a teacher or a student, choose the timeline you want to work on and start adding your events. You can add images, videos, and audio. The great thing about HSTRY is that it allows teachers to create a classroom and invite students to join it. Within this classroom, teachers will be able to share timelines with their students and view the ones they create. Teachers can also make their timelines interactive by adding questions for students to answer.